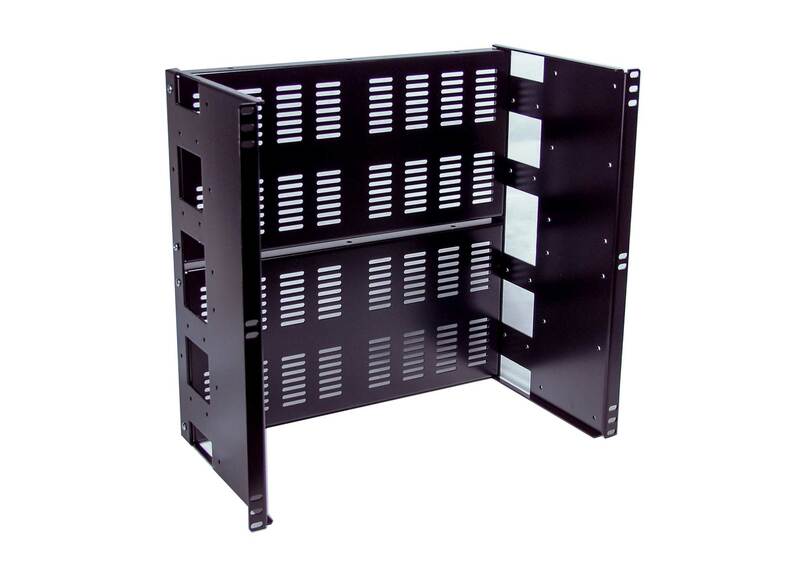 IRP11025V 10U Rackmount Depth Adjustable Slotted Panel. The most difficult part of custom mounting your equipment in an enclosure is drilling precision mounting holes. Unless you have a large CNC machine at your disposal, you will have to drill holes manually with a hand held drill. It is a time consuming and error-prone process. 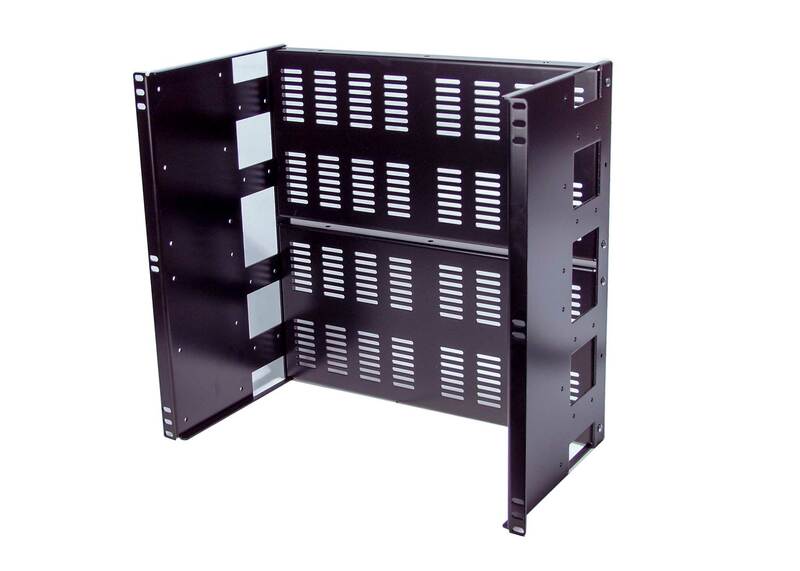 With our slotted panel design, you can reduce your drilling time and mistakes. One of the advantage for using our adjustable depth slotted panel is no more drilling. It is not a precision way to mount your equipment but it gets the job done. You can either use plastic cable ties or M4 screws with hex nuts to secure your equipment through these slits. This method is a faster and more cost effective way for prototyping your design. Our adjustable panels are fully compatible with our filler panel (RCB1090). Our filler panels can be use as cover, or as custom build instrumentation panel. Check out our application note for more ideas. 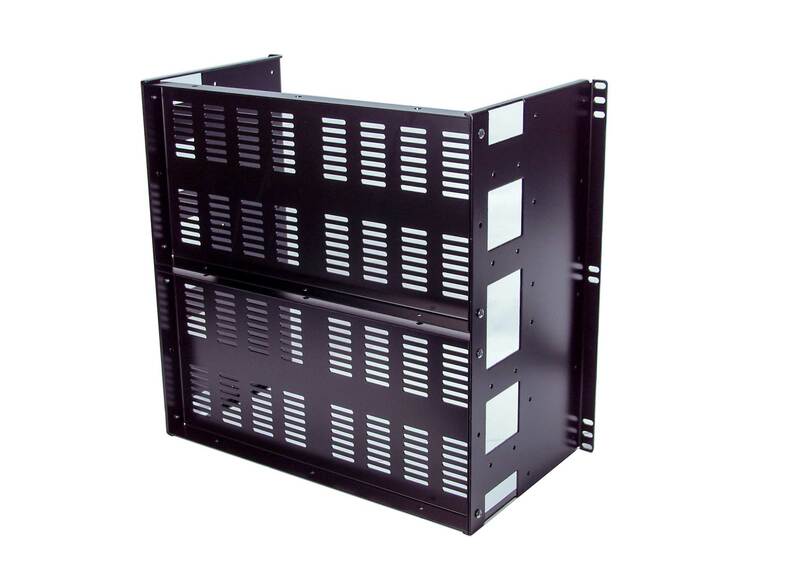 We offer complete slotted panel selections from 3U to 10U size. No need to drill holes. You can use any available slits to secure your equipmenton. Secrew size recommend for the slit M4 x 8mm or longer, #6-32.